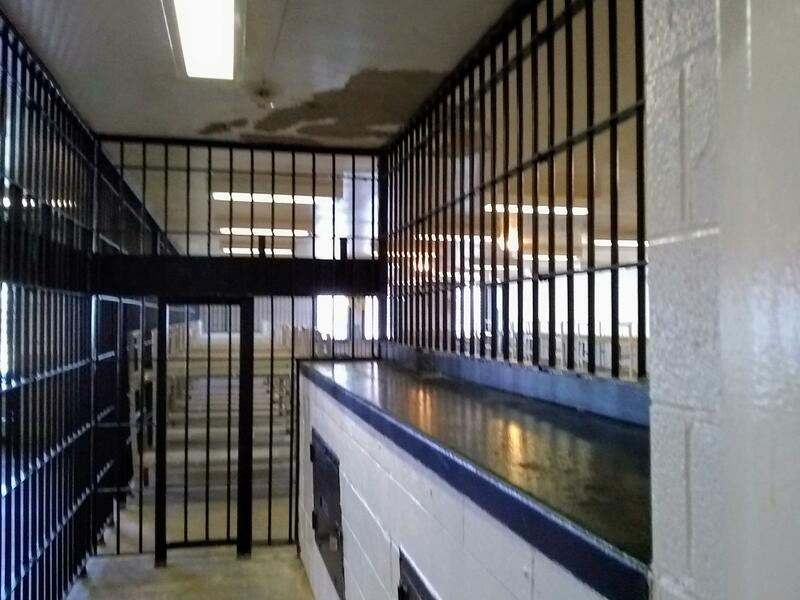 St. Louis Public Radio and other local news outlets took a guided tour of the Medium Security Institution, also known as the Workhouse, in March 2018. St. Louis public safety officials want city residents to know people jailed at the St. Louis Medium Security Institution are treated humanely despite allegations to the contrary. In March, the mayor’s spokesman invited reporters to tour the jail — commonly known as the Workhouse — after weeks of requests for access from local press. A pending lawsuit against the jail by ArchCity Defenders alleges inhumane conditions, including poor ventilation, rodent and insect infestation and problems with black mold. Public Safety Director Jimmie Edwards and Corrections Commissioner Dale Glass fended off the claims in the lawsuit. Edwards said the invitation to tour the grounds was a testament to the jail maintaining an adequate facility to house inmates. He said inmates were also treated with “dignity and respect” when pressed about allegations of mistreatment, including not receiving adequate access to medication and health care. Hear what a former workhouse detainee has to say about conditions inside. Health Service Administrator Lacinda Jones says five or six Workhouse medical staffers each attend to up to 10 patients daily, treating ailments such as fractures and chronic health problems. Jones said at times inmates claimed to experience bug bites. Sherman Brown said he had a life-threatening experience at the jail. 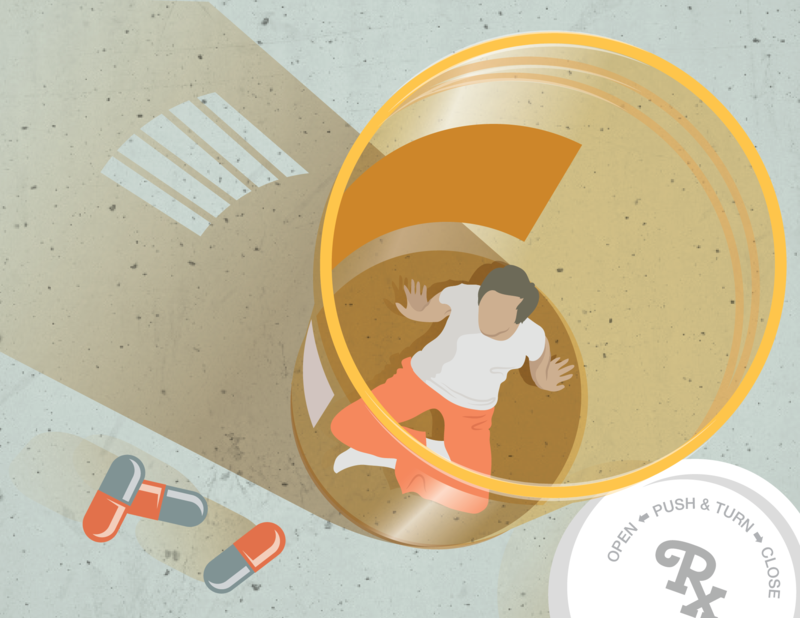 Despite medical staff at the jail detailing treatment inmates receive, including for mental health, Brown said he was denied his usual medication. The 55-year-old says he takes about 10 different pills for a number of issues, including high blood pressure, nerve pain, stomach ulcers and psychiatric medicine. He said the jail didn’t give him his prescribed medication right away. Instead, he said he was prescribed a different drug. Brown believes what officials have shown the public and the news media is not the full picture. During the recent tour, reporters were not allowed into any of the dorms. That’s where Brown says a lot of the problems are, including the mold issue. (This reporter did not see any rat traps on the tour). Brown was released from the Workhouse in February after a month of pretrial detention on unpaid traffic tickets, he said. It was not his first time there. Glass said the overall jail population at the Workhouse and the City Justice Center has decreased from nearly 2,000 to about 1,200 in the last five years. He said the jail aims to reduce reentry through education, mental health, employment and substance abuse programs. Nearly all of the people housed at the Workhouse are awaiting a trial. Dormitory "D" in the men's section of the city's Medium Security Institution, also known as the workhouse. It is the large number of pretrial detainees in city jails that is problematic for defense lawyers who question conditions at the Workhouse. Lawyers allege city jails continue to be overcrowded. 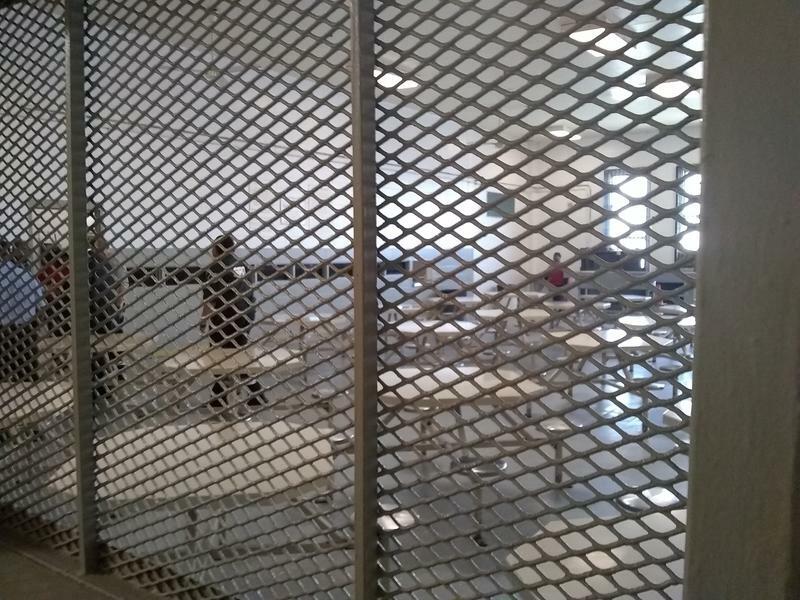 But jail authorities said there are 545 people at the workhouse; there is capacity for 1,138 inmates. More than 1,200 people were detained at the two city jails, according to the city’s January assessment of the Corrections Division. Jail records obtained by St. Louis Public Radio dating back to June 2017 show most people have been jailed on felony charges, though records do not specify which felonies. January records show the average length of stay for people detained on felony charges was more than 230 days. People with parole violations averaged the longest time spent in jail, at 250 days. These numbers are similar to previous months recorded. Municipalities across the country are looking for methods to make pretrial detention fairer and more efficient. University of Missouri-St. Louis criminal justice professor Beth Huebner said financial barriers impede release of low-level offenders who can’t afford bail. For example, Brown couldn’t pay his $1,000 bail. “Pretrial detention can affect you in terms of the criminal case and in terms of your life course, as well as in terms of employment and family relationships,” Huebner said. 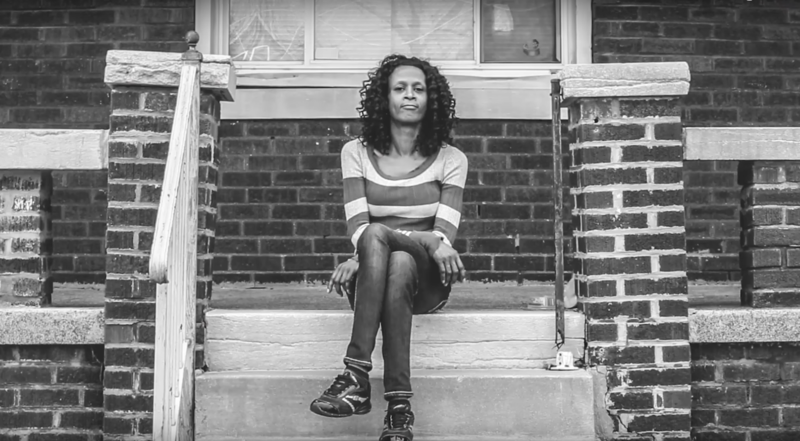 She leads a team focused on St. Louis County jail reform. Its goal is to create methods that reduce jail population. Of the total number of detainees jailed in city jails, 1,064 of them were black men, eight times the number of white men. Police must obtain a warrant to hold a suspect for longer than 24 hours in Missouri, a policy that has also come under scrutiny. Missouri Association of Prosecuting Attorneys President Amy Fite says that while prosecutors make suggestions on how long someone could stay in jail before trial, bond types and pretrial detention lengths are ultimately determined by a judge. Fite said other factors besides not affording bail can play a part in pretrial detention, such as showing up to court. “You have issues with, 'Are they going to continue to commit more crimes?' Is that person also a threat to themselves, from the standpoint of the behavior that they’re engaging in creates not only an issue for our community at large, but a potential issue for that person’s safety and well-being?” she said. Advocates who say the jail is treating detainees unfairly and inhumanely want the facility closed and have asked the court to release pretrial detainees and relocate convicted inmates, something the city does not appear prepared to do. 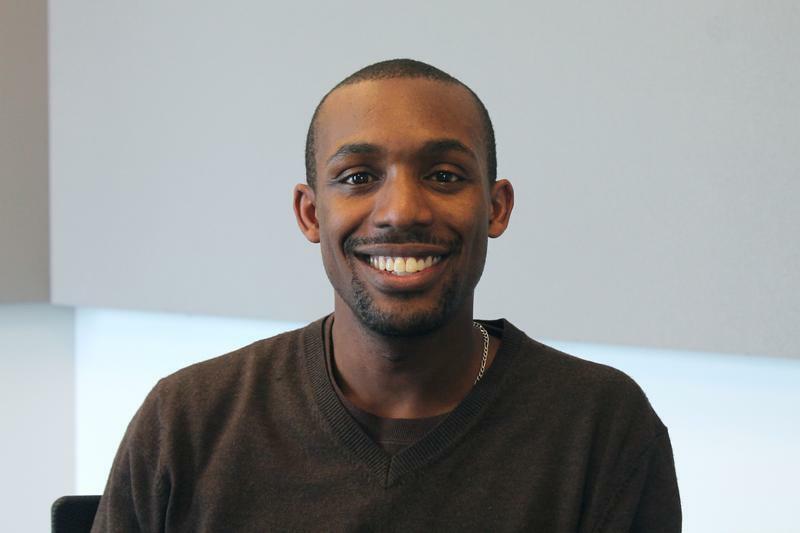 Ashley Lisenby is part of the public radio collaborative “Sharing America,” covering the intersection of race, identity and culture. This new initiative, funded by the Corporation for Public Broadcasting, includes reporters in Hartford, St. Louis, Kansas City, and Portland (Oregon). Follow Ashley on Twitter @aadlisenby. 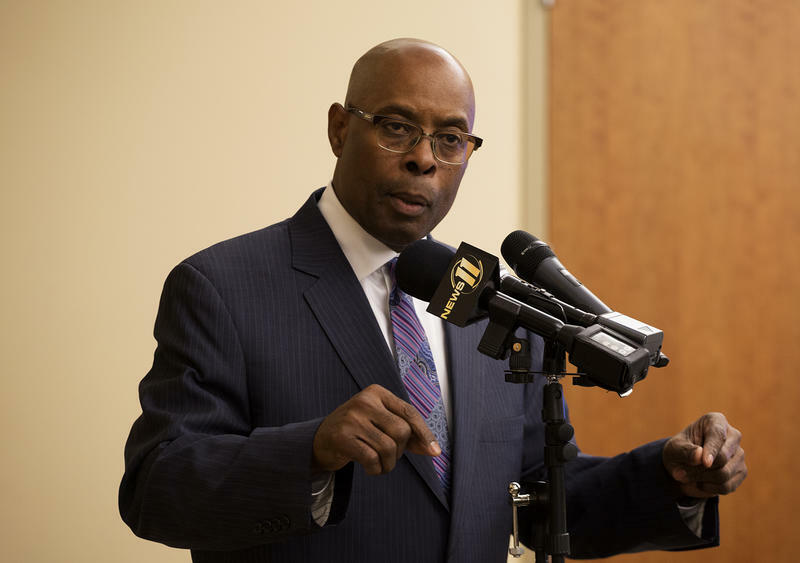 St. Louis Public Safety Director Jimmie Edwards made remarks about crime in St. Louis that prompted a sharp response from civil rights law firm ArchCity Defenders. Edwards told a crowd at a Martin Luther King Day event that black-on-black crime was a problem African-American residents need to tackle.